FishIceland is exhibiting at the prestigious Somerset New Jersey Fly Fishing Show. Celebrities from the world of fishing will be in attendance at the show. The great Lefty Kreh and Bob Clouser will be sharing their casting and fly tying tips, alongside many more demonstrations for the fly fishing enthusiast during the 3 day show. Jon Sigurdsson, FishIceland has been asked to share his in-depth knowledge of his home country and what anglers expect to experience fishing Iceland. Jon will be presenting in room 2 of the Adventure Theatre on Saturday and Sunday. 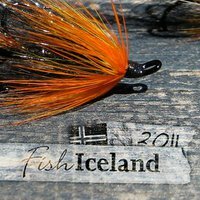 If you would like to visit the FishIceland stand, Jon can be located at F-17 besides Frontiers Travel.